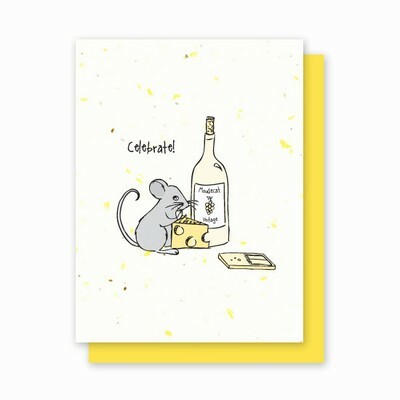 This clever mouse celebrates in style with a wedge of cheese and "Mousecat Vintage!" Printed on Speckled Yellow Grow-a-Note® paper, this unique card is so versatile- perfect for a birthday, graduation, promotion, or any reason to celebrate! Available individually or a package of 4.